Jordan Brand's 30th anniversary wouldn't be complete without a hyped up collab with one of the biggest fashion labels. Supreme and Jordan Brand are teaming up on three different colorways of the Air Jordan 5. The entire sneaker community is hyped for the release, as more and more photos of each sneaker begin to surface. 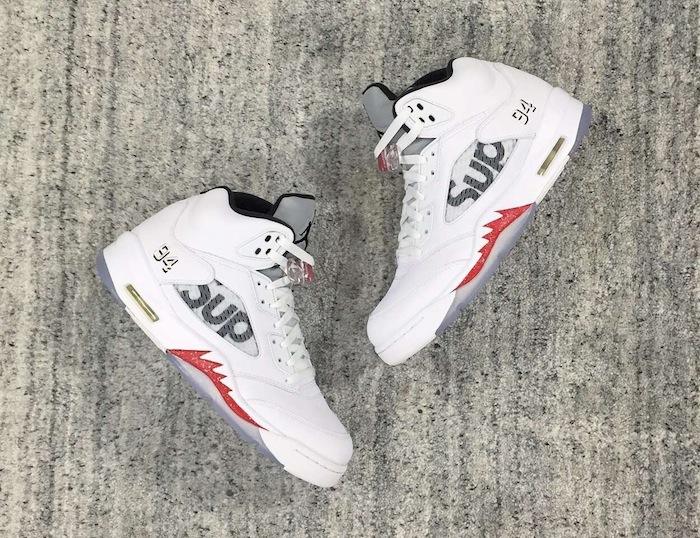 The latest round of images we've found are of the Supreme x Air Jordan 5 “White." The sneaker is one of the more cleaner versions of the collab featuring a completely white leather build with red and metallic silver finishes distributed throughout. The sneaker wouldn't be complete without Supreme branding, so the sneaker will don Supreme's name on the netting and insole. 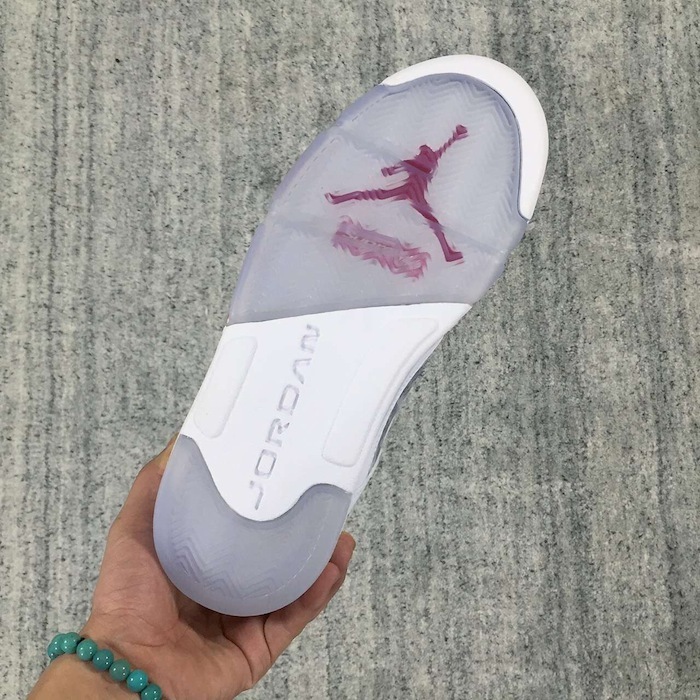 Complete with an blue translucent sole, this is one clean sneaker! Said to release sometime in the next couple of months, the stay tuned to SneakerShouts as we keep you updated!